Welcome to this week’s Favorite Food Friday where we share our favorite foods with our friends. We had Hermine pass through the area last night, but we made it through without any damage. 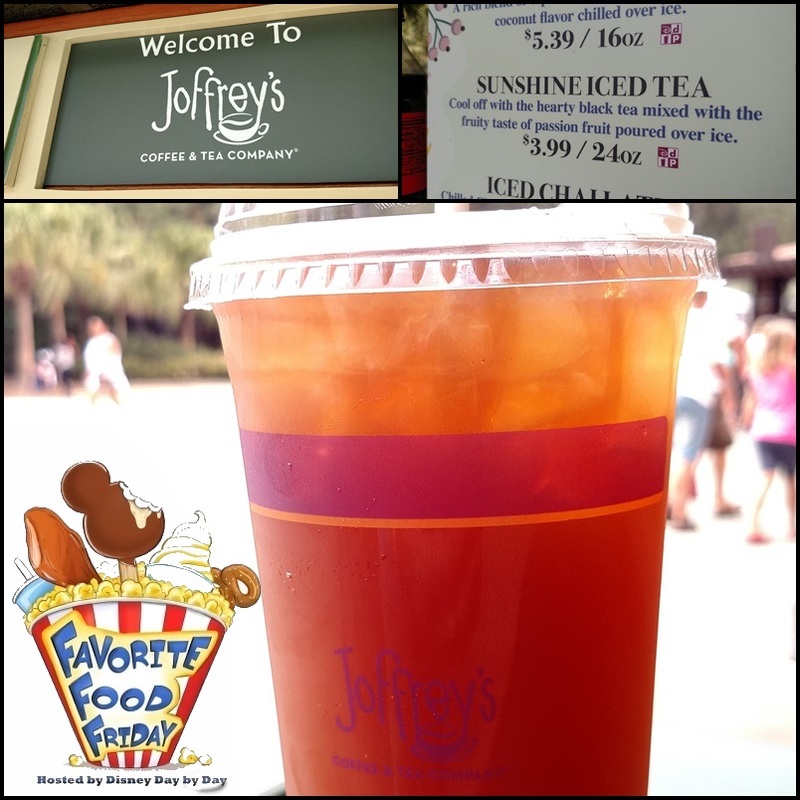 Now we are just waiting for some sunshine, just like the sunshine iced tea that is currently being offered at the Joffrey locations in Walt Disney World Parks. We have purchased these at both the Epcot and Animal Kingdom entrances, but they can be found at most of the Joffrey locations on property. This tea is a great refreshing way to enjoy the parks it is a mix of black tea and the fruity taste of passion fruit. It’s the perfect way to enjoy the parks on these last few days of summer. What is your go to beverage at the parks?